X-SECURITY HDCVI Universal independent digital video and audio recorder. 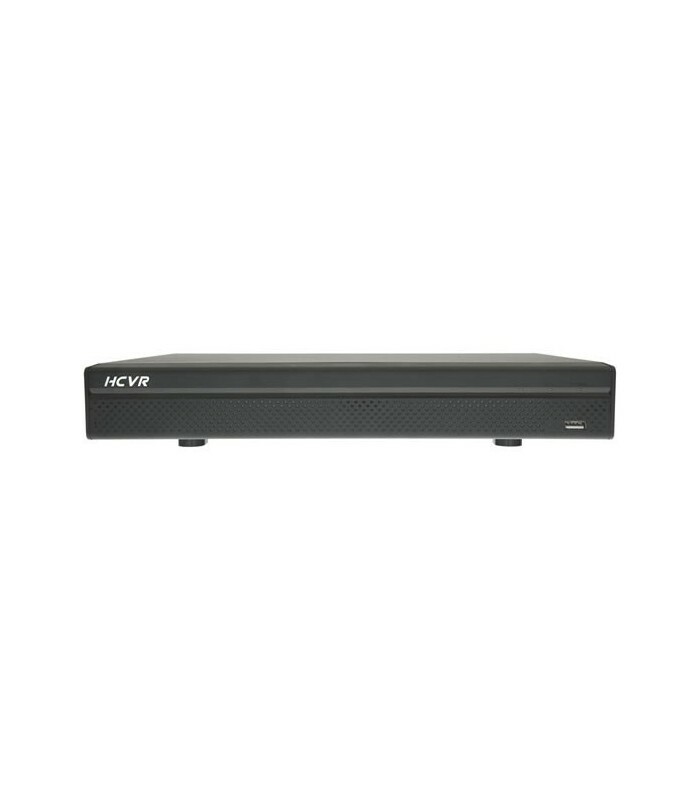 It has 4 BNC video inputs, permitting to use HDCVI cameras or analogue CVBS interchangeable at the same channel, and 1 audio input by RCA connection. It has 1 RCA audio output and 2 video outputs: one VGA output and one HDMI Full HD output. Embedded Linux operating system with pentaplex multifunction which allows: Liveview, Recording, Play, Backup and Remote Access at the same time..
H.264 video compression and G.711 audio. Video recording at 12 FPS per channel in 1080p resolution. Additionally, it permits to add IP cameras replacing analogue channels, with a maximum resolution of 1080p (Max. bitrate 10 Mbps). Several manual recording methods: manual, programmed and by motion detection. Memory in internal SATA disc of up to 4 TB. No alarms. Privacy mask and watermark system, to verify whether or not a video has been manipulated. PTZ camera control by RS485 port. Easy to use thanks to its intuitive graphic menu. It is delivered with USB mouse. External Backup by USB devices (memory, hard disc or recorder) and via ethernet. It has RJ45 output which permits a powerful remote access by web browser (by ActiveX), by PSS software or app free of charge for smartphones. It supports Dual Stream which allows quick and fluent access via internet. It supports DDNS which gives you an easy remote access even with dynamic IP.